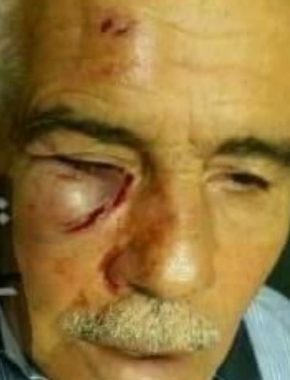 Several undercover Israeli soldiers attacked, on Wednesday, an elderly Palestinian man from Beit Surik town, northwest of occupied East Jerusalem. Eyewitnesses said the undercover soldiers attacked Mustafa Afalqa, causing many cuts and bruises to his head and face, and other parts of his body. The Palestinian was assaulted near the home of Nimir Mahmoud al-Jamal, 37, who was killed on September 26th, after opening fire on a group of Israeli Border Police officers, and armed security guards, killing three and wounding a fourth at the main entrance of Har Hadar illegal Israeli colony. After the undercover officers assaulted the elderly Palestinian man, regular army units invaded Beit Surik, and withdrew along with the undercover officers, a short time later. In related news, the soldiers installed a military roadblock at the junction between Kafrit and Ya’bad towns, west of the northern West Bank city of Jenin, before stopping and searching dozens of cars, and interrogated many Palestinians while inspecting their ID cards.